With winter comes runny noses, coughs, and even nasty stomach bugs. 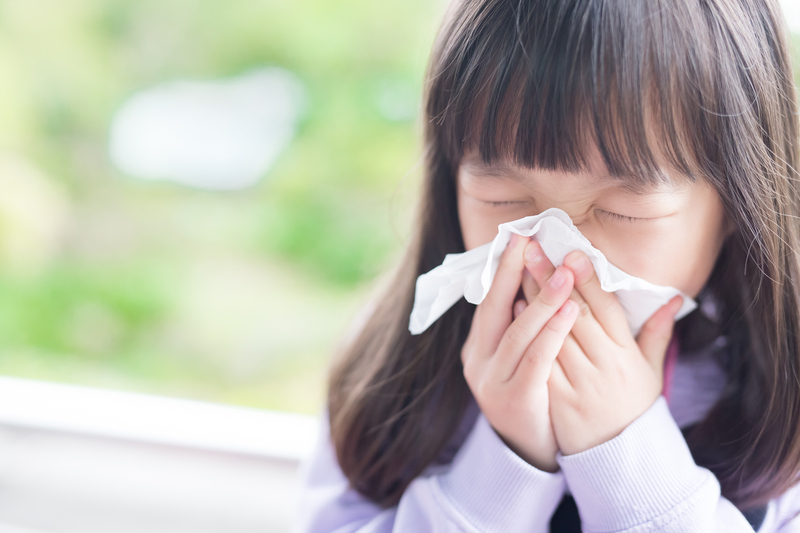 To help avoid those situations, Dr. David Schindler, board-certified family physician, offers some tips to help prevent common childhood illnesses and stop them spreading through your child’s classroom or school. Keep sick kids home. “I know that sounds really basic,” says Schindler, “[but] kids are like little Petri dishes.” They catch and breed all types of germs. With some illnesses, such as strep throat, it’s obvious that kids need to stay home (they must be on antibiotics for 24 hours before returning to school). But what about a cold? “One virus could give one person a mild cold and another could get really sick with something like pneumonia,” explains Schindler. With colds and other viruses such as the stomach flu, it’s best to keep them home until symptoms fade. Pink eye, however, is one sickness that is often misunderstood. “Pink eye is very contagious but it’s almost always a virus,” says Schindler. “Schools will say they need to be on drops for 24 hours. Well, the drops aren’t going to do anything for viral pink eye.” Wait until it there’s less redness and no discharge, or ask your doctor when it’s safe to send them back to school. Wash hands with soap and water (and try to avoid hand sanitizer). “There’s a difference between washing your hands with water and soap versus those sanitizers,” explains Schindler. “Washing hands with water and soap does a better job and it does less harm to your skin.” Studies have shown that the chemicals in hand sanitizers can irritate the skin and frequent use can actually make people more prone to contamination. Stick with soap and water and reinforce when it’s most important for kiddos to wash up, such as after blowing their nose or using the bathroom. Consume lots of vitamin C. Schindler encourages parents to give their children a vitamin C supplement each day. How much should your little one take? Schindler suggests doubling the daily dosage of vitamin C recommended for the age of your child, but consult your doctor first. In addition, make sure to include vitamin C-rich foods like oranges and tomatoes in your family’s diet. Let them get a little dirty. Seriously. “You can’t really keep a child in a bubble because it doesn’t work and it’s not good for the child,” says Schindler. Kids need to interact with the world so they can expose themselves to different germs that the body will learn to fight off. This will prevent them from getting sick so often! Ultimately, teach habits like washing hands and coughing into the elbow so that kids can stay healthy and prevent the spread of germs. Kids will get sick, but these tips can help limit those instances and keep you healthy and happy. Everyone wins!